Are you trying to find stores that sell in CBD oil in Ohio? If so, check out the list we’ve put together below. You can also consider ordering the highest quality CBD products online. As CBD becomes more and more widely used in our society, expect to find it in all major areas. In Ohio, we expect to see CBD oil products available in near bigger cities like Columbus, Cleveland, Cincinnati, Toledo, Akron, and Dayton. As time goes on you’ll also be able to find it in places like Parma, Canton, Youngstown, Lorain, Hamilton, Springfield, Kettering, Elyria and Lakewood. Below, we’ve brought you a list of the top spots in Ohio to get CBD right now. CBD continues to expand across the country, and the Rust Belt is no different: Ohio offers a variety of options for CBD oil aficionados and novices alike. As of now, Columbus has at least two highly popular stores with equally popular and well-trained staff. (General rule of thumb: if the customer service is good, the product should follow suit.) From there, Toledo has an excellent alternative holistic medicine shop that offers non-psychotropic hemp products at an affordable price — again, with top-quality service. As CBD continues to grow, professionals expect stores to continue popping up around Ohio, especially in the south of the state where shops are less prominent. 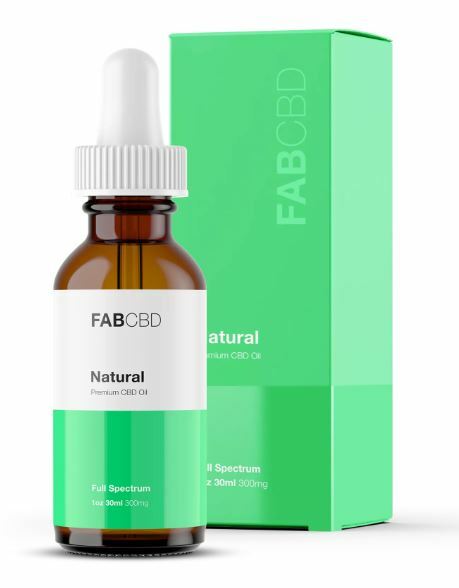 For now, Ohio residents outside of Columbus and Toledo can always order their favorite CBD products online; and for those interested in traveling out-of-state, Detroit and Pittsburgh each have some of the best CBD shops in the region. There are two places worth checking out in Columbus. First is Great Vapes (1294 Bethel Rd, Columbus, OH 43220) conveniently located in North Columbus, not far from the Ohio State Airport. Here you’ll find a knowledgeable staff willing to answer all your CBD questions and guide you through the store’s extensive selection of high quality CBD oil products, plus e-cigarette equipment, vape accessories, custom e-juice and more. Unlike some places, Great Vapes places an emphasis on finding the perfect product for their customer, which accounting for price. As owner Kevin Zuccaro says, “Our objective is not geared toward maximizing the customers expense but getting the most out of their experience and investment.” That sounds like a good policy to us. Founded in 2014, Great Vapes came about after Kevin’s brother opened a CBD shop in Texas the year before. The more the merrier! Open seven days a week: Monday-Thursday 10AM-7PM; Friday-Saturday 10AM-8PM; Sunday 11AM-6PM. Another place to check out is Smoke House (5439 Roberts Rd, Hilliard, OH 43026), just outside the Columbus I-270 perimeter and easily accessible. Like Great Vapes, Smoke House is another great CBD shop with a huge selection of wall-to-wall products and top-notch customer service. Additional products available include kratom, water pipes, shisha, e-cigarettes, e-juices, oil rigs, and other brand-name CBD products and paraphernalia. After opening in 2015, the shop has significantly expanded and grown in popularity throughout the Columbus area and beyond. Like many others, Smoke House’s owner decided to open up his own CBD oil shop almost immediately after his first experience, and customers say his passion shines throughout the store. Open seven days a week, with the best hours in Ohio: Monday-Saturday 10AM-10PM; Sunday 11AM-9PM. Toledo Hemp Center (815 Phillips Ave) is your one-stop CBD shop in the upper reaches of North Ohio. (Note the store has moved a 1/2 mile east of its original location.) Owner Kevin Spitler opened the shop after realizing the dearth of alternative holistic remedies in the area; since then, he’s been a man on a mission. Toledo Hemp Center is a leader in non-psychotropic hemp products and part of a grassroots effort to educate individuals and communities on the wide-ranging health benefits, which have so far been woefully and unfairly overlooked. Among its core values are: premium quality merchandise; courteous and knowledgable customer service; impeccable sales support; and integrity. Open Monday-Friday 10AM-6PM; Saturday 11am- 4pm. Established in 1995, Hemptations (2034 Madison Rd, Cincinnati, OH 45208) is Cincinnati’s most popular spot for premium CBD oil, hemp, and other hemp-derived products, conveniently located on the north bank of the Ohio River. Emphasizing quality and selection, all products are individually sourced and curated, and much of the hemp stock is grown just across the river in Kentucky on federally recognized hemp fields. Prices are affordable, and if you need assistance navigating the store feel free to ask the friendly, knowledgeable staff. Open seven days a week; Monday-Saturday 11AM-7PM; Sunday 12PM-6PM. Further up I-75, TNT Vape Shop (601 Union Rd, Monroe, OH 45036) is thirty minutes north of Cincinnati in Monroe. Established in 2006, TNT has expanded to include a diverse selection, from vape products, to premium e-juices, to high-quality CBD oils. Tailored customer service is a point of emphasis, as is affordable CBD, with online promotions and coupons. Cleveland Vape (1411 Lauderdale Ave, Lakewood, OH 44107) has the works: high-quality CBD oil, premium e-liquids, mods, atomizers, RDAs, batteries, chargers, and other vape accessories. You’ll also enjoy a friendly, laid back atmosphere, with personalized service and a complementary tasting bar. Check online for coupons! Open seven days a week: 11AM-10PM. Located just east of Cleveland, Premium Hemp Co (36495 Vine St, Willoughby, OH 44094) features a team of hemp health and wellness experts, eager to help customers find the right CBD or other hemp-derived product to fit their medical needs. In addition to a wide variety of CBD hemp oil, edibles, tinctures, and other CBD products, Premium Hemp emphasizes an educational and informative approach, especially appropriate for first-time CBD buyers. Open seven days a week: Monday-Saturday 11AM-7PM; Sunday 12PM-5PM. For anyone in the Youngstown area, Valley Tobacco (5880 Mahoning Ave, Austintown, OH 44515) is a 5 star-rated shop established in 1941. In addition to a high-quality CBD selection, the shop specializes in premium tobacco products, e-cigs, vape liquids, cigar accessories, and more. Open seven days a week.